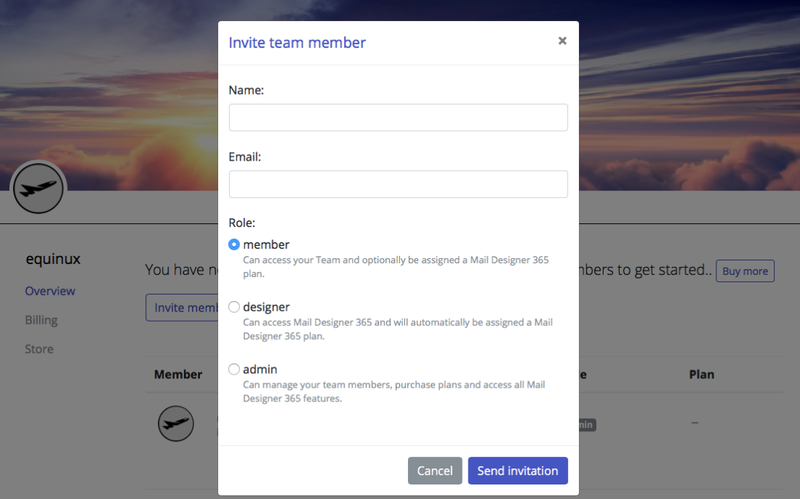 Mail Designer 365’s brand new Teamwork feature allows you to insert productive feedback for your fellow designers directly into your design template. Create comments and todos, and share your document with team members to get their ideas and input too. 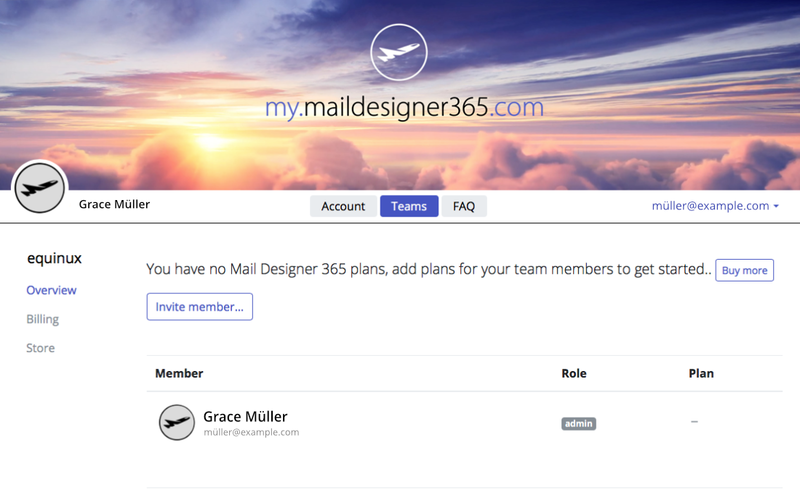 Conveniently set up a team for your business via your my.maildesigner365 portal where you can purchase and assign multiple Mail Designer 365 Business plans to your co-workers. Save time. Quickly and easily manage all of your Mail Designer 365 Business plans in one convenient place. Purchase plans and assign them to co-workers. Invite admins, designers, and regular members to your team. With Teams, you will receive one invoice at the end of each billing period for your team.